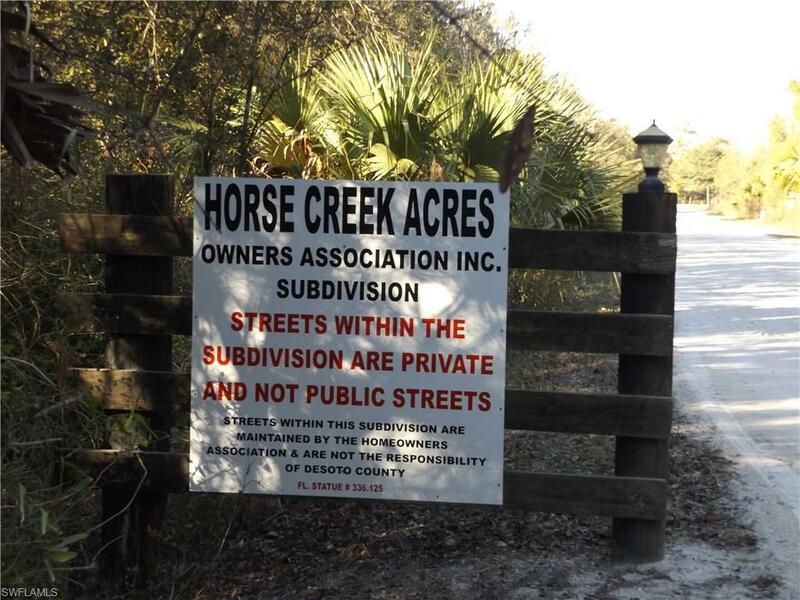 6.63 beautiful wooded acres on Horse Creek in Desoto County. 180 feet of creek frontage! 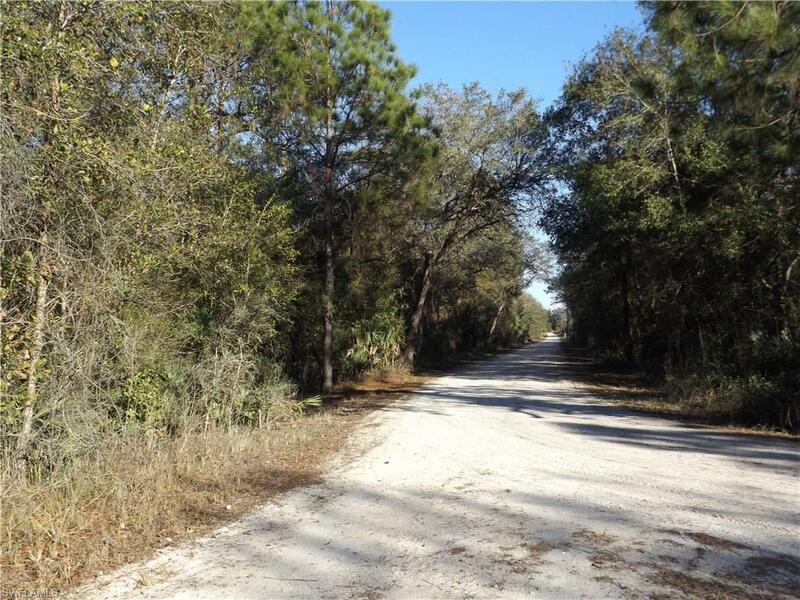 Access to property via an improved gravel road that's maintained by HOA with annual fee of only $75! 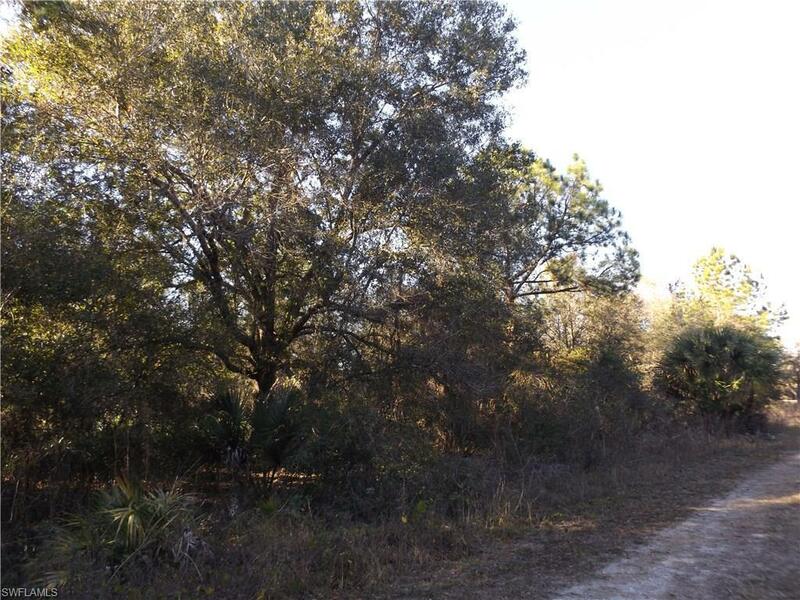 Property is a mix of oaks, pine trees, cabbage palms, cypress trees & palmetto. Camp, fish, or hunt for Fossils. Horse Creek was once the sight of an archaeological search by the Smithsonian museum! It's only a 20 minute drive to a Peace river boat ramp with access to Charlotte Harbor. and 2 hours drive to amusement & theme parks!! 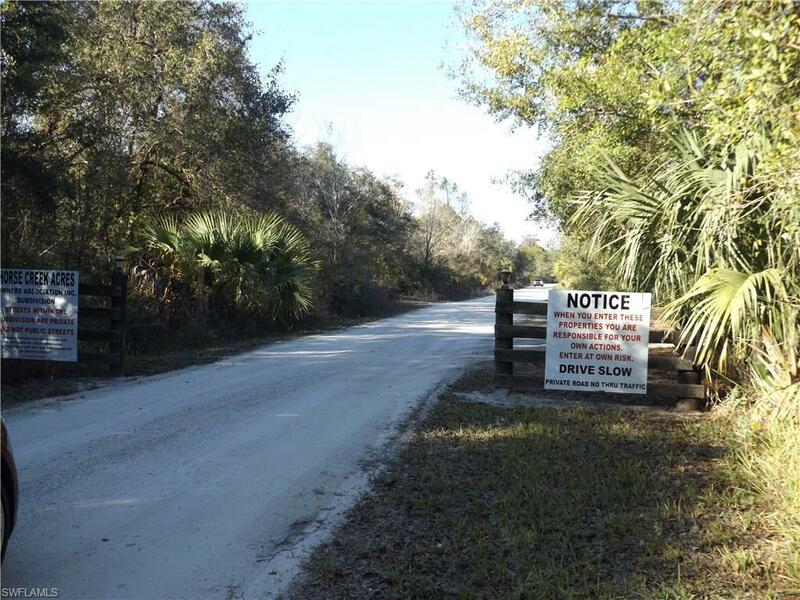 Enjoy nature & seclusion, while still being close to Disney & Busch Gardens!! Listing courtesy of Marguerite A. Hart of Sellstate Achievers Realty Net.